Nothing known about this art of a Rolls-Royce for Colour magazine. Since Colour was a prestigious publication it is assumed that Claes had some standing in the art world. 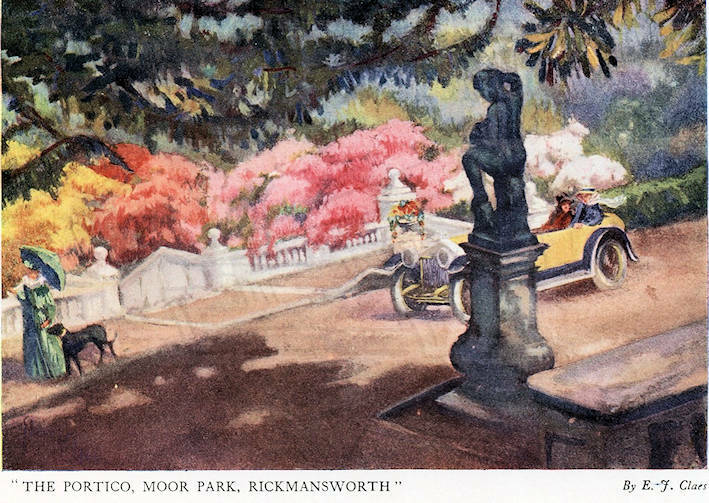 Moor Park, Rickmansworth. Sept 1917 Colour magazine. Image courtesy of Peter Moss.